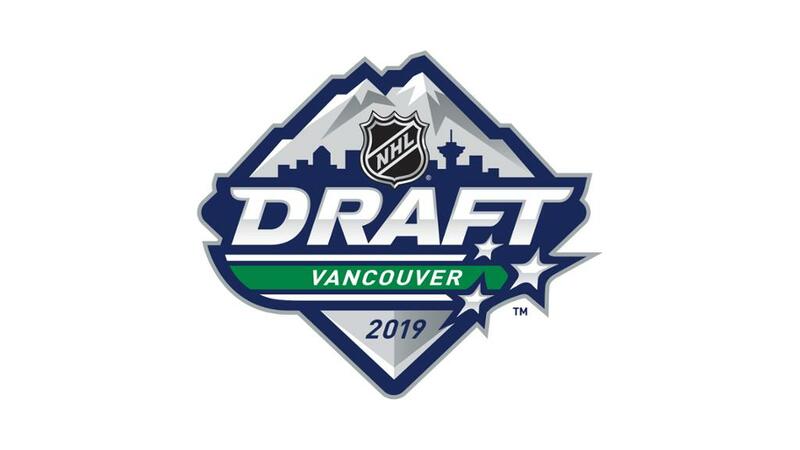 We continue our previews of potential Blackhawks’ picks in the 2019 NHL Draft. We discussed Dylan Cozens and Vasili Podkolzin. Now let’s look at Kirby Dach. The towering centre is making good on the investment that Saskatoon made when they selected him second overall in 2016 WHL Bantam draft. 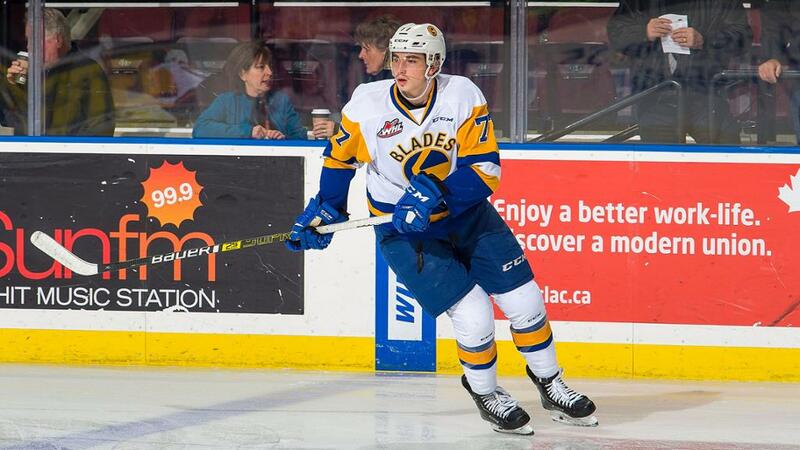 He leads his team, and all-draft-eligible WHL players in scoring with 11 goals and 34 points in 21 contests. Dach loves to create offense off the half-wall on the power play and slows things down at even-strength to weigh his options. He owns slick hands, a heavy release and great vision. Big-bodied playmaking center with outstanding passing skills and soft hands who is one of the best draft-eligible players at incorporating all his teammates into the attack. Dach has a tremendous wingspan and reach that help him maintain control the puck for lengthy periods inside the offensive zone. He is a confident puck carrier up ice, and you’ll rarely see him advance via direct routes. Dach can create time and space using a variety of methods on zone entries, and he can stutter-step defenders out of position. All these traits force opponents to back away from him, which provides him with the opportunity to unleash a wicked wrist shot. Still, Dach certainly is more of a set-up man than a shooter, and you can make a strong argument that he is the best saucer-passer of any forward prospect. Dach has elusiveness for a big man, and his agility in tight spaces allows him to outmaneuver pesky opponents. His straight-line speed is average but deceptive, and his skating style and stride appears a bit choppy and short. Nonetheless, Dach has no problem inserting himself into a rush or initiating one himself, and you can count on him to create several odd-man chances each game. He can run a power play from the half wall and has confidence in his passes from either forehand or backhand, and he can sense when the time is right to make a decisive pay during a stagnant possession. Defensively, Dach will pressure the points, and he relies on his long stick to break up plays. He is, however, neither physical nor consistent on draws. Dach will drop down to support his defensemen, but he’ll dig for loose pucks rather than use his strength to knock it free. Dach is an impressive skater for his size but will never be known as a burner. He has good top-end speed but his first few steps and his acceleration can use some improvement. He also has very good agility and edgework for his size, allowing him to weave in and out of traffic. His stride is long and powerful and he is very tough to knock off the puck. Dach has excellent balance and this should only improve as he continues to add muscle to his frame going forward. This allows him to fight through checks, control the puck down low, and win battles along the boards. At 6-foot-4 Dach has the size to be a powerful centre. Dach takes the puck to the net and is more likely to go through a defender than to try and make a deke to get around him. He is very tough to contain on the cycle, as he protects the puck well and this allows him to extend plays down low and wait for a teammate to get open or for an opposing defender to get out of position. Dach has very good vision and passing skills. He finds open teammates and sets them up for scoring chances in tight. Dach also has a decent wrist shot and release. This season he started using that shot more and it is leading to goals and opening up defences, making his playmaking skill even more deadly. While he is still a pass first player, the improved willingness to shoot has made a difference in his game. He is very intelligent and reads the play very well. Dach almost always makes the right play with the puck on his stick. This allows him to be the main focal point of the power play, controlling the play on the boards and setting up teammates for scoring chances. Dach is also willing to use his body in his own end of the ice. He supports the defence with effective back pressure and works to win battles along the boards and keep the front of the net clear. While he is not a big hitter, he is willing to use his size to his advantage, leaning on opponents to win battles, and using his long reach and active stick to cut down passing lanes. He can be used in all situations, including going against the other team’s best players and killing penalties. Dach is strong in the faceoff circle as well. Dach is close to being NHL ready but might be best off with one more year of junior hockey. There are some improvements that can still be made in terms of adding muscle to his frame, cleaning up his first step and acceleration, and continuing to have confidence in his shot. Those flaws are minor though and should easily be fixed as he matures. Dach could grow to become a top-line NHL centre. His game is reminiscent of Ryan Getzlaf but this is a style comparison only and not one based on talent. Somebody who will be in conversation too likely, alot to like about him. Surprised to see he is considered strong on faceoffs though. The nightly stats include fos stats and some nights he flirts with 50% and others struggles to get to 25%. His current series against Prince Albert he has games he won 5 out of 18, 4 out of 17, 3 out of 8, 9 out 17, 7out of 15. Typical of games stats i saw this year. Afaic. If you want him you should be picking 7th or 8th. Hes not a superstar elite player. He plays here where i live. If hes the 3rd pick Ill be pretty disappointed. I’ve seen him play about a week ago against Prince Albert in the playoffs and he scored a goal but he just didn’t impress me at all and in fact seemed pretty much invisible for long stretches of the game. Yeah he has size and good offensive skills but I don’t think he is a “plus skater” and he seem almost passive rather than aggressive. The guy that stood out to me in that game was Brett Leason on Prince Albert who is rated in the bottom half of the 1st round. Leason is an over-ager so there is that factor but he looked like the better player by a fair amount. After Hughes/Kakko, I would pick either Cozens or Turcotte. I’ve seen Cozens, Dach, Byram, and Krebs play and Cozens was the best play of the bunch when I saw him play. I haven’t seen Turcotte play. Good read Wrap, hard not to like Cozens. Hunter with another year should make Boqvist alot better defensively. Wrap, thanks for the London/Guelph game summary. Bouchard is definitely “the man” and not undeserved because he’s a pretty good player … but, I’m very happy the Hawks got Boqvist over Bouchard. The goal he scored yesterday gave him 10 goals in 10 games which leads the OHL in the playoffs. Not bad for a 1st year d-man. That summary on Cozens was written by the guy who goes by “wiz” on another message board and he’s very high on Cozens. Wiz has been doing draft analysis for many many years and doesn’t always get everything right (who does?) 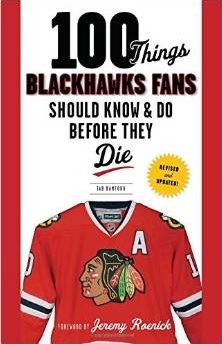 but more times than not has an accurate read on prospects. Good report Wrap. For me what it highlights is that while Boqvist may potentially become an offensive genius, he is quite a ways from being an-all situations player which to me is what is needed in a number one defenseman. From that standpoint, and especially given the pool is thinner on the left side, Byram has to get heavy consideration and I think he will. If we did go with Byram it would make sense to move prospects or even Gus to make room, but that can be done. Kurashev Cozens Kubalik or ? Saying that i do like Cozens but you just never know, right? Lots of good posts. You can see after posting enough posts about each guy everybody pretty much agrees on Cozens or Byram. The more top 6 skill players we talk about the more sure it feels to pick on of these two. LOAGS, one thing about wiz is that he admits when he missed on a player – and they all do. He like Podkolzin a lot so it’s not like he thinks Cozens is slam dunk better than the rest. He also rates a couple Swede d-men above Byram because he thinks Byram isn’t as good at making reads in the d-zone. His expectations for Byram is that he will be more of a top-4 d-man at best – not a top-pairing guy. That seems to be in stark contrast to some other prospect analysts but it’s his opinion. His top rated d-man is Broberg whereas most mock drafts have Broberg going in the middle of the 1st round. EB thats what the early season rankings were saying about Broberg and Bryam pretty much. Broverg about 5th and Bryam 8 to 10 th early on. Wrap not sure that a guy expected to play a key role who now 2 years in a row is putting his team in a hole with a dumb/selfish suspension is a good fit. Has the talent but baggage too. The play by Kadri yesterday soured me on him. He had some cheap shot plays before but I thought maybe he got better at playing within the rules but that was bush league and made even worse when he turtled rather than pay the price. I was advocating getting him recently but that changed my mind. I’ve been pining for Kapanen for months now – try to figure out a way to weasel him away from Toronto’s cap problem. But, the more I see Toronto play, the more I like Johnsson. I would be very happy finding a way to weasel Johnsson away from Toronto’s cap problem. Either one would be good with me. Acquire either Johnsson or Kapanen via offer sheet or trade. Sign UFA D-man Ben Chiarot. Make big improvement defensively with Training Camp. Kadri soured on me as well. Those guys never learn. Im almost certain tho Toronto decided last night that they will be trading him this summer. We’ll probably get some depth scoring in Dominik Kubalik this fall. Looks like he will sign after World Championships. Im guessing Kubalik will get one of those type of contracts that Kahun and Panarin received where they could could return overseas if they dont make the club. Not sure why LA wasnt willing to do that. Oh well. Their loss, our gain. I think Toronto would ideally prefer to get rid Marleau’s final year. Nylander got paid and totally crapped the bed. Dach reminds me of Strome. Not that Strome is bad. But he could go either way. Of the 3 profiled I like Cozens the best. Reading this summary on Dach, it has solidified, for me, that Cozens is the pick at #3. He can start at 3C. Is he with Kahun and Saad? Dach is a solid choice, but Cozens is a step better, and at #3…that’s enough. FA, minors, and trades can shore up the D and the 4th line. Yes, I still want Brandon Lemieux. Still think Dach is the sleeper number 3 pick. But I will let Mark Kelley decide??? And sorry, but if anyone is watching the playoffs, pick any game, say Vegas vs San Jose, or Jets vs St. Louis, Blue Jackets vs Bolts, how can you even imagine Kahun on the roster next year. Forget it! And forget Sikura!!! Please, let’s get serious. Example: Once again, Tampa Bay too smallish up front with Johnson, Palat, Guorde, Point, Kucherov, who if course are light years ahead of Sikura and Kahun, talent wise! Hawks need size and speed combined. I hope Bowman and his pro scouts are watching and learning! And do you think Strome, especially if he does not get bigger, stronger and faster can compete in a playoff situation in the west? Ernie, in the Cozens thread I said that because of Strome, I do not think the Hawks will pick Dach. They are too much alike (although Dach will be the better player) and you don’t want speed to be an issue for such a high pick. If Pod does not intend to come over right away, I would go with Cozens. Turcotte and Zegras have been moving up the board. Both are committed to colleges next season. Not good for us, unless this would only be for their freshman year. Turcotte came back from a major hip injuring and played lights out hockey. However, they may scare away some teams. That said, if the Hawks decide against taking Pod and rate Cozens, Turcotte, and Dach about equal, they should offer #3 to BUF for their 7 and 26. Pod will likely be taken before #7 and Byram certainly will. I doubt BUF would take it, but if they are targeting one or two of players they believe will not be there at 7, it just may be possible. Take two: Regarding Turcotte’s injury I meant “this” may scare away some teams. Original, wouldn’t assume Turcotte be rated ahead of Peyton Krebs either, he is another small to average skilled center too who may be in picture too. Original-you and I can have a fun bet-I pick Strome as the better (at the end) than Dach. I feel confident of that. Kinda the same person as far as skills-but Strome is a hockey junkie and will keep getting better in small ways. Its a good idea but I would rather have first selection of these 4 or 5 players then get stuck with a center without size. Another Beau/later 1st round pick would be very good but I do not think its worth it. When talking about any other section of draft from 7-11th pick on, sure I would do it. I want that 1st line center with size and speed. Thats the rare combination people say WIN has those kind. We need that more then quantity. Noonan, hope you are right about Strome. The problem is more his lack of quickness than speed. He gets faked out a lot by opposing players and reacts too slowly. He just turned 22, so there should be more upside. He certainly will get a little stronger, which will help him win puck battles and forechecking. Nothing against 15 but I like 17 as the center for 2nd line better. More upside and chemistry with De bob less swagger cat. Panarin/15 or 12/17. Both are good. These guys now have the higher upside and some elc yrs. Forget cap hits these are both two sets of dang good players. Would rather have the 12/17 combo for 5 or more coming yrs though. De bob lee swagger cat.